A snippet of the song was played during ' Not fade away 'at Richmond Arena, Richmond, VA. Bruce only repeated the title over and over. 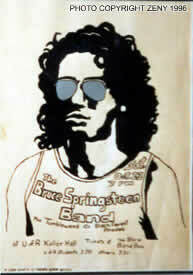 It was one show, triple bill, with The Bruce Springsteen Band headlining. "Bo Diddley's A Gunslinger" is taken from the fifth studio album , Bo Diddley Is a Gunslinger .American rock and roll pioneer Bo Diddley released in December 1960 by Checker Records. 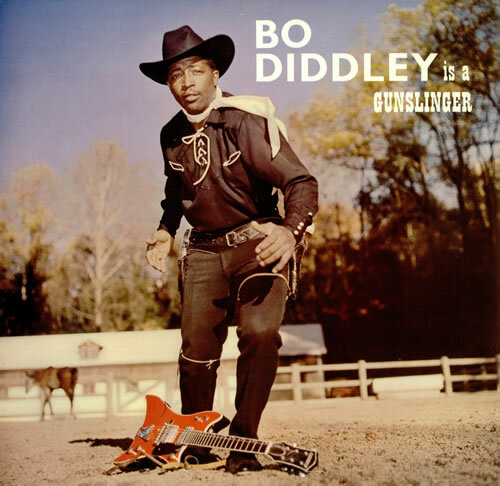 The album title comes from the album's first track called "Gunslinger" and the cover art has Bo Diddley dressed in Western-style clothing. You know he's so scared to say.